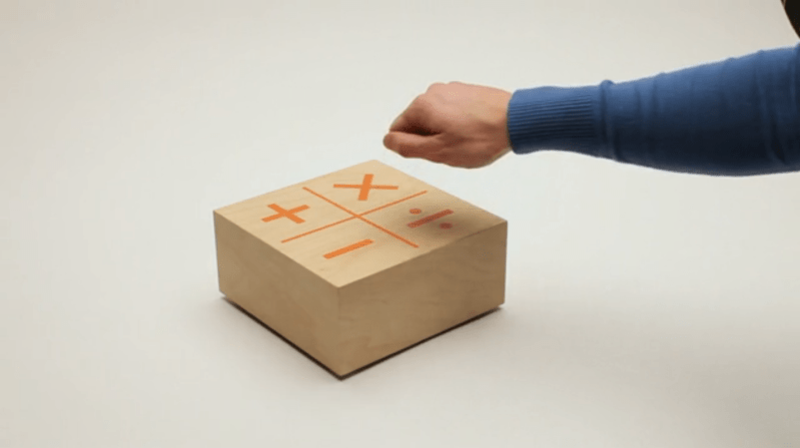 Knock Knock is a clever Arduino-controlled calculator toy, designed for small children. The user knocks out a calculation on the surface — addition, multiplication, subtraction, or division — and Knock Knock will spit back the solution, in the form of knocks, of course. Created by Switzerland designer Khalil Klouche, Knock Knock is brought to life with an Arduino, contact microphones, and solenoids. It’s a fun idea for a toy, but good luck trying to use this in secret during a “no calculators” test at school!